You have to have employees who are trained in fire safety and at Saxon Fire Ltd we offer courses to suit your needs. Fire safety training of employees in the workplace is covered by the Health and Safety Regulations, Regulatory Reform (Fire Safety) Order 2005 which came into force from October 1, 2006. It is the employer’s liability to ensure that their employees are trained in the use of fire extinguishers and aware of all matters relating to fire safety training. Fire consists of three essential elements, know as the fire triangle of heat, oxygen and fuel. By removing one or more of the three elements, you extinguish the fire. We run training courses across East Anglia. This course is aimed at all staff, particularly new starters in any workplace, where a basic understanding of fire safety is required. 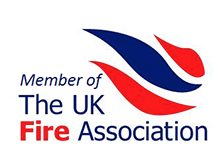 Those attending this course will know that fire safety is the responsibility of everyone in the workplace with recognition of the contribution they may have in preventing the start and spread of fires. The course covers all types of extinguishers, the fire triangle, evacuation, fire equipment, good housekeeping, training requirements, calling the fire service, fire doors, smoke alarms, precautions and hands on use of extinguishers on an imaginary fire. This course is ideal to give all members of staff basic fire training to increase awareness and cooperation in the event of a fire in the workplace. Awareness will reduce the risk of fires actually breaking out and therefore save lives. Training courses are for a maximum of 10 people at your premises with our equipment. Multiple training sessions can be quoted for at special rates.